Vibration tests are one of the many tests that spacecraft and instruments endure to ensure they are fit for spaceflight. During routine testing of NASA's James Webb Space Telescope, an unexpected response occurred from several of the more than 100 devices designed to detect small changes in the motion of the structure. This prompted the engineers put the vibration tests on hold to determine the cause. Since then, the team of engineers and scientists have analyzed many potential scenarios for the measured responses. They are closer to pinning down the cause, and have successfully conducted three low-level vibrations of the telescope. All visual and ultrasonic examinations of the structure continue to show it to be sound. 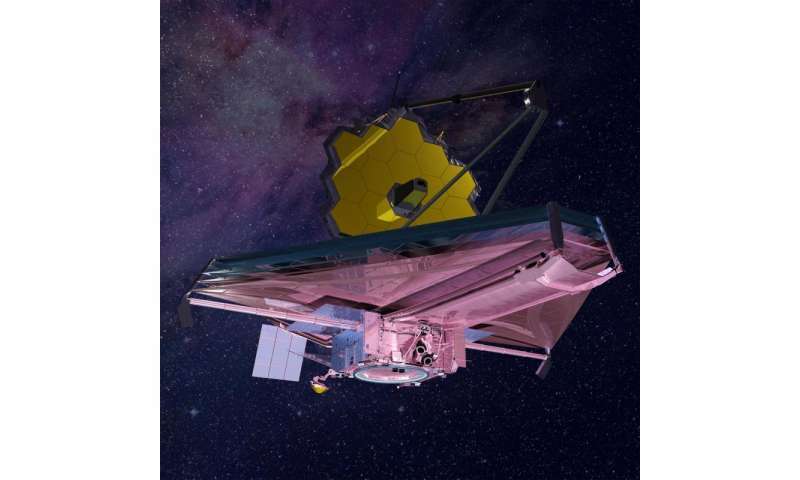 "Currently, the team is continuing their analyses with the goal of having a review of their findings, conclusions and plans for resuming vibration testing in January," said Eric Smith, program director for NASA's James Webb Space Telescope, NASA Headquarters in Washington. "This is why we test—to know how things really are, as opposed to how we think they are," said Paul Geithner, deputy project manager – technical for the Webb telescope at NASA's Goddard Space Flight Center in Greenbelt, Maryland. During the vibration testing on Dec. 3 at NASA Goddard, accelerometers attached to the telescope detected unexpected responses and consequently the test shut itself down to protect the hardware. The test shut itself down in a fraction of a second after a higher-than-expected response was detected at a particular frequency of vibration, about one note lower than the lowest note on a piano. 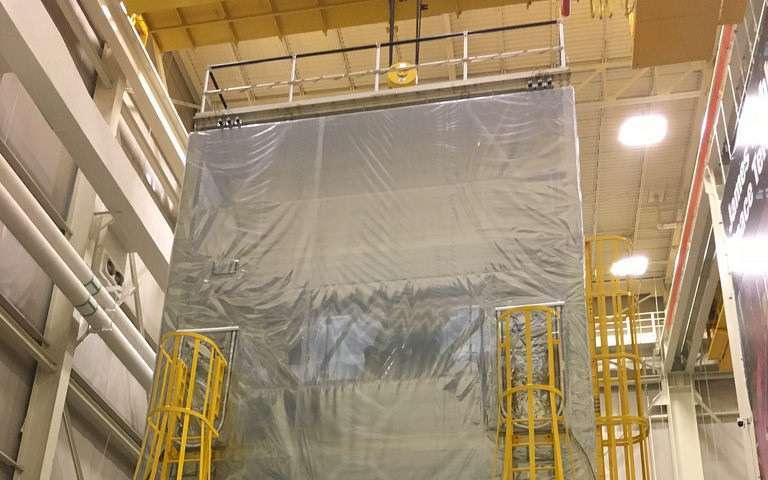 At NASA, vibration and acoustics test facilities provide vibration and shock testing of spaceflight hardware to ensure that functionality is not impaired by severe launch and landing environments. Launches create high levels of vibration in spacecraft and equipment and ground testing is done to simulate that launch induced vibration. Vibration testing is done on components as small as a few ounces to as large as complete structures or systems. By performing the vibration testing on NASA's James Webb Space Telescope, scientists and engineers can ensure that the spacecraft and all of its instruments will endure the launch and maintain functionality when it is launched from French Guiana in 2018. "The Webb telescope is the most dynamically complex test article ever tested at Goddard, so the responses were a bit different than expected," Geithner said. Further testing may or may not reveal additional unexpected responses, but that is the purpose of these tests. If additional anomalies are detected, they can be corrected before launch.